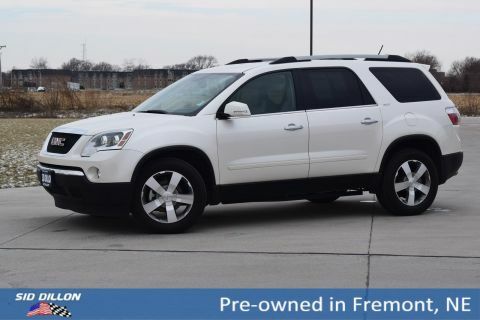 Sturdy and dependable, this 2010 GMC Acadia SLT1 comfortably packs in your passengers and their bags with room to spare. Tire Pressure Monitoring System (Does not monitor spare. ), StabiliTrak, stability control system with Traction Control, OnStar, 1-year of Directions and Connections plan. 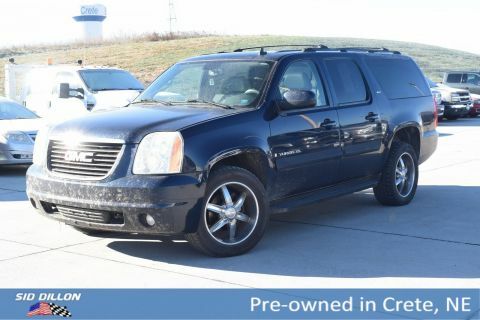 Includes Automatic Crash Response, Emergency Services, Crisis Assist, Stolen Vehicle Assistance, Remote Door Unlock, Roadside Assistance, Remote Horn and Lights, innovative easy to use Turn-by-Turn Navigation with OnStar eNav (where available), Hands Free Calling, OnStar Vehicle Diagnostics, Low Mileage Discount and Remote Ignition Block (OnStar services require vehicle electrical system (including battery), wireless service and GPS satellite signals to be available and operating for features to function properly. OnStar acts as a link to existing emergency service providers. Turn-by-Turn Navigation requires ABS and Directions & Connections plan. Not available in certain areas. Visit onstar.com for coverage map. Vehicle Diagnostics capabilities vary by model. Remote door unlock success varies with conditions. Ability to locate stolen vehicles varies with conditions. Subscription Service Agreement required. Call 1-888-4ONSTAR (1-888-466, Door locks, rear child security, Daytime Running Lamps. Air bags, frontal and side-impact for driver and front passenger and head curtain side-impact for all rows in outboard seating positions (Head curtain side air bags are designed to help reduce the risk of head and neck injuries to front and rear seat occupants on the near side of certain side-impact collisions. Always use safety belts and correct child restraints for your childs age and size. Even in vehicles equipped with air bags and the Passenger Sensing System, children are safer when properly secured in a rear seat. Never place a rear-facing infant restraint in the front a seat of any vehicle equipped with an active frontal air bag. See the vehicles Owners Manual and child safety seat instructions for more safety information. ), Air bags, front passenger air bag suppression (Always use safety belts and the correct child restraints for your childs age and size. Even in vehicles equipped with air bags and the Passenger Sensing System, children are safer when properly secured in a rear seat. Never place a rear-facing infant restraint in the front seat of any vehicle equipped with an active frontal air bag. See the vehicles Owners Manual and child safety seat instructions for more safety information.). 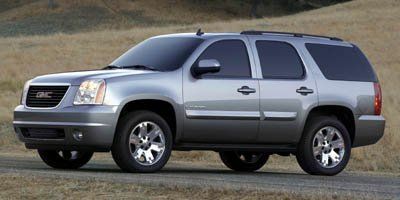 As reported by KBB.com: If you need lots of room to haul people and cargo but hate the look of a minivan, you'll like the 2010 GMC Acadia. It combines a large, usable interior and good gas mileage with attractive SUV-like exterior styling. WHITE DIAMOND TRICOAT, WHEELS, 4-19 X 7.5 (48.3 CM X 19.1 CM) MACHINED ALUMINUM (STD) (Includes (QCW) P255/55R19-H-rated tires. ), TRANSMISSION, 6-SPEED AUTOMATIC, ELECTRONICALLY CONTROLLED with overdrive (STD), TIRES, P255/60R19 H-RATED, SLT-1 PREFERRD EQUIPMENT GROUP Includes Standard Equipment, SEATING, 8-PASSENGER (2-3-3 SEATING CONFIGURATION) (Includes 2nd row 60/40 split flat-folding bench seat. ), RECLINING FRONT BUCKETS (STD). 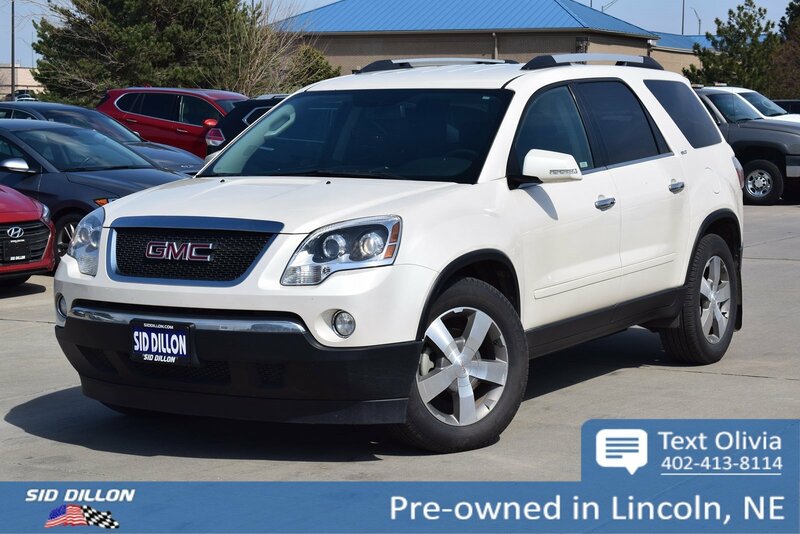 Come in for a quick visit at Sid Dillon BNH Lincoln, 2627 Kendra Ln, Lincoln, NE 68512 to claim your GMC Acadia!